Papers are being sought for Military Discipline in the 21st Century: the challenges of a new era, an international colloquium to be held August 31 and September 1, 2011, at Royal New Zealand Naval Base - Marae, Auckland. 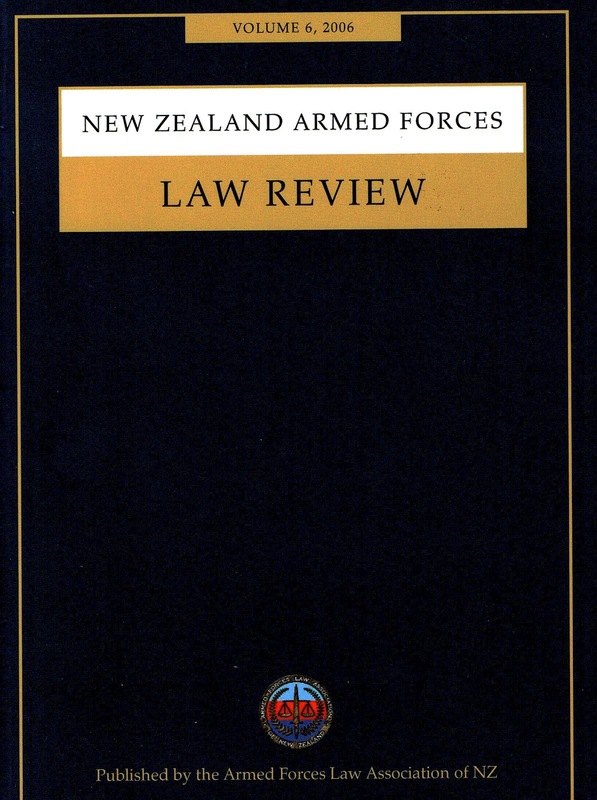 Sponsoring the conference is the Armed Forces Law Association of New Zealand, in association with the the New Zealand & Australian Armed Forces Law Review. ► Domestic application of human rights norms in military discipline regimes. Deadline for submissions of 250-word-or-fewer abstracts is June 15, 2012. Send them to the conference convenor, Dr Chris Gallavin, Senior Lecturer at the University of Canterbury School of Law in Christchurch, New Zealand, at chris.gallavin@canterbury.ac.nz.